It is now possible for correction of nose concerns such as nose bumps, tip dipping, nasal flaring etc, without the trauma usually associated with surgical interventions. As one of the most prominent features of the face, the nose can have a huge impact on your overall appearance. Nasal refinement can reduce or increase the size of your nose, change the shape of the tip or the bridge, narrow the span of the nostrils, or change the angle between your nose and your upper lip. Up until recently, traditional rhinoplasty surgery used to be the only way to change the appearance of your nose. These surgical nose-jobs can transform someone’s face but may involve risks as well as extensive downtime, associated with surgery. It is also usually a permanent change, that could be difficult to reverse if you do not like the outcome for the procedure. 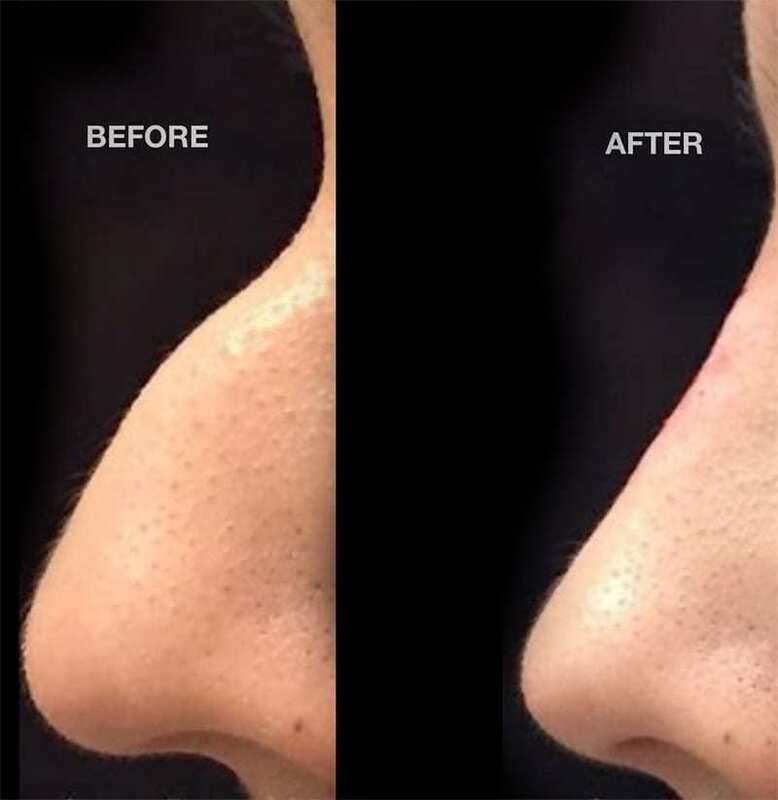 Non-surgical rhinoplasty is an effective alternative to the traditional nose job, which can eliminate nasal issues such as bumps and crookedness that may be affecting your self-confidence. This is the perfect solution, as it does the same job as a traditional rhinoplasty without the prolonged recovery and risks associated with the surgical procedure. The process involves the strategic injection of dermal fillers to straighten bridges, or smooth out bumps, as well as utilizing muscle relaxing injections (like Botox®) to reduce flaring and improve the overall shape of the nose in relation to the lips. Please call us on 020 707 80203 to arrange your consultation to see if you would benefit from this option.